Owner,Stephanie Christenson, has 20 years experience in the fitness field as a Pilates teacher, personal trainer and group exercise instructor. 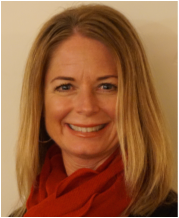 Stephanie is a Pilates Method Alliance Certified Pilates Teacher and a graduate of the Polestar Pilates Comprehensive Teacher Training Program and has a Bachelors Degree in Kinesiology from Penn State. She has worked with a variety of populations and fitness levels including pre- and postnatal, Parkinson's Disease, Active Older Adults and teens. She has managed a variety of fitness programs in the Tucson community, and is an American Bone Health Peer Educator. Stephanie is a Certified Strength and Conditioning Specialist (CSCS) through the National Strength and Conditioning Association (NSCA). She is a 200h Registered Yoga Teacher with the Yoga Alliance. Cathy lives in Green Valley and has been teaching Pilates since 2008. She received her Pilates teacher training through John White, a second generation Pilates instructor and is a Pilates Method Alliance Certified Pilates Teacher. Cathy is a Buff Bones® Instructor, and an American Bone Health Peer Educator. In 2012, Cathy also completed training in Fletcher Pilates Barrework™, Floorwork® and Towelwork®. A life-long ballet student, dance aerobics and horseback-riding enthusiast, ​her movement background is in dance and sports. Her own neck and back problems make her especially helpful addressing issues in the healthy but aging body. Cathy uses the Pilates method and stretching for improving posture and alignment with her clients. Liz graduated from the University of Arizona with a degree in Marketing in 1996. Physical fitness and athletic performance have been top priorities of hers since her days playing year round soccer in high school. She discovered Pilates over ten years ago prior to having her first child and has used it after the birth of each of her three children to help achieve the top physical condition she has needed to complete several marathons and half marathons. Liz is a graduate of the Polestar Pilates Comprehensive Teacher Training Program and a Pilates Method Alliance Certified Pilates Teacher. Outside of practicing and teaching pilates, she enjoys yoga, biking, hiking, running and swimming and orchestrating life with her husband and three children. 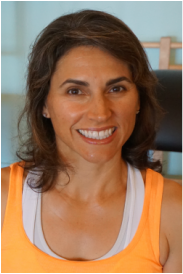 Geneva is a certified Polestar Pilates Rehabilitation Professional and a Pilates Method Alliance Certified Pilates Teacher. She is a Licensed Physical Therapist and Certified Athletic Trainer. Geneva received her Bachelor of Athletic Training Education degree from New Mexico State University in 2008 and her Doctorate of Physical Therapy (DPT) from Washington University in St. Louis School of Medicine in St. Louis, Missouri in 2012. She is certified in Neuro-Integrative Functional Rehabilitation and Habilitation. She currently is an outpatient physical therapist at the Rehabilitation Institute of Tucson specializing in treating patients with stroke and orthopedic challenges. Geneva swam competitively for 2 decades and found pilates to be a breath of fresh air. She is excited to combine her movement science background with Polestar Pilates fusion of physical therapy and contemporary pilates to give clients a unique and specific workout. In her free time she loves to read, travel, study language, and move. Born an athlete, Anne grew up in Minnesota where playing outside was a way of life. She won the 500 meter National Title in Speedskating and also played soccer, basketball, ran track, skied and snowboarded. Varsity tennis led Anne to play Divison 1 tennis at the University of Denver. In her senior year, Anne discovered The Pilates Body by Brooke Siler and in 2004 started training at the Pilates Center in Boulder, CO, with Amy Tayler Alpers and Rachel Taylor Segel. Their studio is renowned for its classical Pilates training and staying true to the original Pilates method. Anne completed her a year long, rigorous 985 hours of instruction and internship in 2005 and in 2010, also completed The Pilates Center Masters Program. ​Anne started to race competitively in 2012, as an elite road cyclist. Today she continues to compete with the best road racers in the U.S. and has won multiple national titles on the track and the road. It is her commitment to Pilates and self care that keeps her balanced and successful as an aging athlete/cyclist! Miranda's personal yoga journey began ten years ago after experiencing typical injuries from a career in dance. 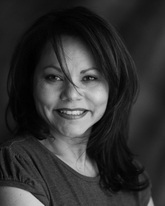 Drawn by the therapeutic value and ancient link of mind/body/spirit, she completed her teacher training at the Yoga Connection in 2009, and has been sharing her passion for movement as a teacher in the Tucson community since. She has been apprenticing with Stephanie for the past year, as a student of Pilates. Miranda enjoys the community connection that is experienced in the Yoga and Pilates studio. Rebecca McAllister, a Texarkana, Texas native, is a licensed physical therapist working in outpatient orthopedics at St. Mary's Hospital. She is currently working on her manual therapy certification through North American Institute of Orthopedic Manual Therapy (NAIOMT) and completed the rehabilitation track of the Comprehensive Pilates Teacher Training with Polestar Pilates in March 2014. She graduated with a Bachelor's of Science in Rehabilitation Studies from the University of North Texas in 1993 and Master's of Physical Therapy in 1997 from Texas Tech University. Her first experience with Pilates was in 2006 while visiting family in Nicosia, Cyprus and attending a mat class with her sister. After returning home, she sought out other Pilates experiences over the next 8 years. She met a former Polestar Pilates graduate (and PT) through some of the NAIOMT courses she attended and realized the benefit of Pilates in rehabilitation. She looks forward to continuing her Pilates training and teaching skills. In her spare time, she enjoys family, hiking, running,traveling and any activities out in nature. The PMA® -Certified Pilates Teacher creates and implements safe and effective individualized programs for apparently healthy clients to improve health and fitness through exercise and physical activity. The goal of a PMA® Certified Pilates Teacher is to impart the knowledge skill and confidence for clients to exercise for a lifetime. By awarding the title of Certified Pilates Teacher, the PMA Certification Program is formally recognizing the Pilates teacher who has provided evidence that he or she meets accepted professional standards.